AnaedoOnline is in possession of an audio conversation containing Governor Obiano assuring Dr Ifeanyi Ubah the Senatorial Ticket of Anambra South Senatorial District in the presence of Chief Cletus Ibeto. While making the promise, the Governor reminded Ifeanyi Ubah of the meeting they had at the residence of popular Anambra priest Rev Fr Ebube Muonso where he had promised him that he will go to the Senate in return for him to support his re-election bid. The promise of the ticket was made to Ifeanyi Ubah as one of the bait to get the Capital Oil Boss to support the governor’s re-election bid. In the said audio, Governor Obiano was heard clearly telling Ifeanyi Ubah to come out fully and support his re-election campaign as it was just 19 days to his election. The Governor told Ifeanyi Ubah to use his capacity to campaign for him which included: using his media outfits, the Authority Newspapers and Authority FM and also the FC Ifeanyi Ubah (FCIU) stadium to mobilize the youths to support his re-election bid. The Governor made reference to what Ifeanyi Ubah did before for President Goodluck Jonathan through Transformation Ambassadors of Nigeria (TAN) and therefore urged him to do same for him by creating a general awareness for his re-election so as to enable them to finish the work and win the election. 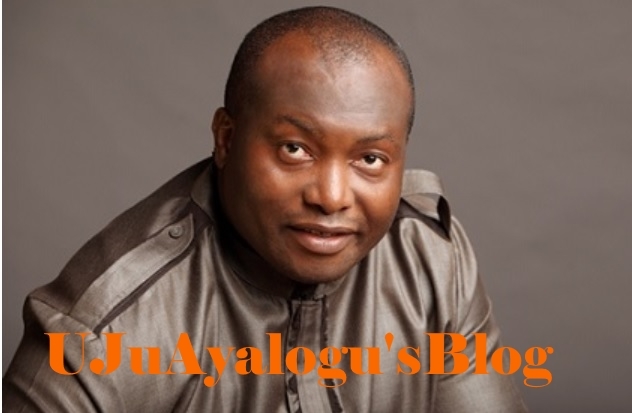 In response to the Governor’s plea, Ifeanyi Ubah also made reference to the meeting at Rev Fr Ebube Mounso’s residence and another meeting they both had at the Governors Lodge. He said that those meetings went well. He also said he insisted that He (Ubah) and The Governor had to see Chief Cletus Ibeto whom Governor Obiano referred to as ‘The Oracle’ in the audio. Ifeanyi Ubah told the Governor that Chief Ibeto is his boss that he would go to work once Chief Ibeto gives him the go-ahead order. Chief Ubah told the governor that this election was not just to deliver Nnewi but that he is coming-in totally to help him win this election. He assured the Governor that he is joining Chief Victor Umeh for them to work together. Chief Ubah also made reference to his conversation with Chief Victor Umeh who told him that the Governor is the BOT Chairman of the Party that since he has given his assurance that He will get an automatic ticket of the party, that it is as good as done. AnaedoOnline had earlier reported how Governor Obiano denied ever promising or signing an agreement with Ifeanyi Ubah that he will be given the APGA ticket for Anambra South Senatorial District. The Governor denial arose after Ifeanyi Ubah and Ibeto in an emergency meeting organized on September 14th 2018 by a section of Nnewi political stakeholders at the Igwe’s Palace told the audience how Gov Obiano promised Ifeanyi Ubah Senatorial Ticket. It is few days to the Party primaries and rumours are everywhere that the Governor has reneged on his promise to Chief Ubah, but Anaedoonline will bring you further details as we have it.